Cosmetic dentistry focuses on improving the beauty of an individual's teeth while maintaining the optimal health and function of the mouth. At Aesthetic Dental Studio, Calgary dentist Dr. Gordon Chee provides a variety of high-quality cosmetic treatments as part of our wide body of dental services. 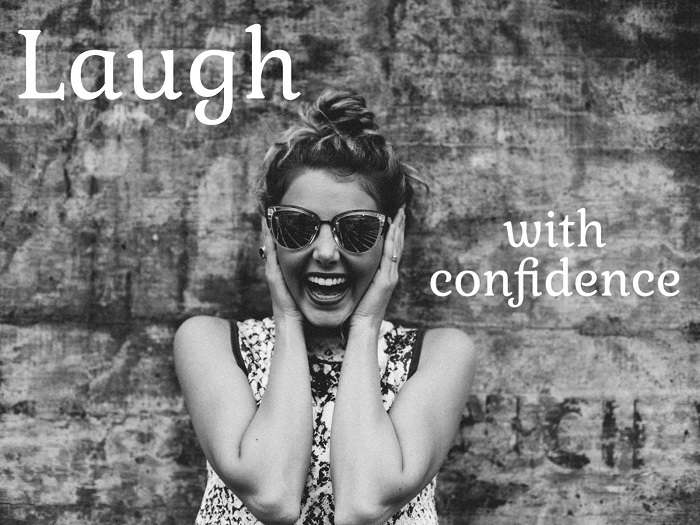 Everyone deserves to feel confident when they talk, laugh, and smile. The way that you feel about your smile has a profound impact on your self-esteem. If you have one or more aesthetic concerns that are holding you back, cosmetic dentistry may be right for you. To find out how cosmetic dentistry can enhance your smile, please call Aesthetic Dental Studio at 587-315-5080 today. Dr. Chee serves patients in communities throughout the Calgary area. The advantages of an aesthetic procedure don't end simply with a better-looking smile. Starting with your consultation, Dr. Chee and our entire team will collaborate with you to answer your questions about cosmetic dentistry and design a treatment plan customized to meet your needs. Dr. Chee is committed to helping you design and enjoy the perfect smile. He combines years of experience with advanced training and the latest technology to provide patients in Calgary with durable, natural results. Many common cosmetic dental problems are rooted in poor oral health and bad habits. Traditional dentistry is dedicated to preventing, diagnosing and treating these issues, while cosmetic dentistry can conceal and sometimes reverse visible signs of damage. Porcelain veneers: Also known as “instant orthodontics”, porcelain veneers are thin, customized pieces of ceramic material that adhere to the front surface of your teeth. They are a long-lasting dental solution that can improve a wide range of cosmetic concerns. Invisalign®: If you have crooked teeth, braces are not your only option for orthodontic treatment. Invisalign is a newer alternative to fixed braces that is comfortable. The treatment consists of customized clear aligner trays that use gentle pressure to straighten your teeth. The removable trays are clear, so most people may not even notice that you’re wearing them. Dental bonding: This relatively inexpensive treatment can be used to reshape teeth in a single visit. Tooth bonding involves applying a primarily plastic material to teeth that are chipped, small, or misshaped to correct their appearance. The material is color-matched to look natural and beautiful, though the results may not have the same longevity as other treatments. Tooth whitening: Tooth discoloration is a common aesthetic concern that we can easily improve. We offer laser teeth whitening in our office and customized whitening trays that you can use at home. Porcelain crowns: If your teeth are significantly damaged or decayed, you may benefit from porcelain crowns. A crown covers the exposed surfaces of a tooth, protecting it from further external damage and improving its appearance. Gum recontouring: Using a gentle and precise beam of laser energy, our dentists can reshape your gum tissue. This treatment can create a more even and aesthetically pleasing gum line. Aesthetic lip repositioning: If you have overly-prominent gums they can hide your teeth when you smile. Individuals who have prominent gums are sometimes said to suffer from a “gummy smile”. Aesthetic lip repositioning is a minor surgical procedure in which our dentists slightly alter the position of your upper lip to cover more of your gum tissue when you smile. Implant dentistry: Dental implants are a long-lasting way to replace one or more missing teeth. Missing teeth can be a cosmetic concern and a source of embarrassment, but they are also a functional issue that should be addressed to improve your daily comfort. Implants fuse with your jawbone and securely support a dental restoration such as a crown. Smile makeover: If you have multiple cosmetic concerns, a smile makeover may offer the most direct and effective route to improving your smile. A smile makeover is a customized combination of procedures that are performed to address all of your unique concerns. Many patients choose one or a combination of these treatments to improve their smile. Injections of BOTOX® Cosmetic can also enhance the results of an aesthetic procedure or simply alleviate wrinkles in your face for a rejuvenated, more youthful look. If you are concerned about the appearance of your teeth, you may be eligible for cosmetic dentistry treatments. 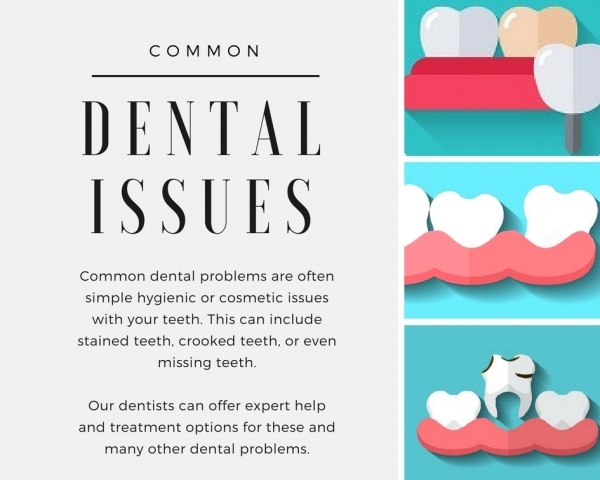 The common cosmetic dental problems listed below – as well as many others – can be effectively addressed with dentistry treatments at our Calgary office. Crooked teeth: You may hesitate to smile freely if you have crooked teeth. Stifling your laughter or pressing your lips closed as you smile can take a toll on your mental and emotional health. Restore your confidence in your smile! Stained teeth: Tooth discoloration is something that just about everyone experiences. It can be caused by many factors, including food and stain drink stains, poor dental hygiene, and cigarette smoking. Tooth staining is especially common as we grow older, as the cumulative effects of these foods and beverages begin to show. Chipped teeth: Expanding dental fillings, trauma, falls, tooth grinding and hard foods are the most common causes of chipped teeth. If you chip your tooth, our dentists will assess the severity of the fracture. The most serious chips leave the tooth pulp vulnerable and cause pain. Most chips are minor, but still cause the person to feel self-conscious about their smile. Gaps between teeth: Gaps between your teeth can be embarrassing, especially a large gap between your two front teeth. The appropriate treatment will depend on the size and cause of the gaps. Gummy smile: For some people, excessive gum tissue leads to dissatisfaction with their own smiles. Known as a "gummy smile," this characteristic is indicated by the appearance of too much visible gum in relation to the teeth. Missing teeth: Tooth loss is not uncommon among American adults. Gum disease and injury are two of the most common causes. The experienced dentists at Aesthetic Dental Studio provide several ways to replace one or more missing teeth. The only way to know if your cosmetic issues can be improved through dentistry treatments at our office is to schedule a personalized consultation. Dr. Chee will discuss your concerns and suggest appropriate treatment options. Experienced dentist Dr. Chee and our entire team are personally committed to restoring your confidence in your smile. Selecting a skilled cosmetic dentist takes careful consideration. With an increased popularity of cosmetic dentistry procedures and the range of treatments available, the choices of cosmetic dentists in your area can be astounding. There is no referral system in place or involvement of a third-party insurance to help you when choosing a cosmetic dentist. Therefore, recommendations from others can be very beneficial. If you have kept updated with your routine checkups, your general dentist will be familiar with the status of your oral health. Therefore, your general dentist may be able to recommend a cosmetic dentist to meet your cosmetic dentistry needs. Check how long your prospective cosmetic dentist has been practicing and how extensive the practice is. Ask what kind of technology is in place and if previews are available when demonstrating treatment options. Other criteria you can assess when selecting a cosmetic dentist are the before and after photos. Make sure they are photos of actual patients and decide how well you like the outcomes. Click here to view some of our before and after photos. Once you decide on a cosmetic dentist, keep in mind that most procedures are irreversible. This is why it is essential that you choose a cosmetic dentist who you are comfortable with and who you believe can create the smile of your dreams. During your initial consultation, you will be able to question your prospective cosmetic dentist and get a sense of how knowledgeable and experienced he or she is. How long have you been practicing cosmetic dentistry? What are your qualifications and where did you go to school and undergo training? How many patients have you had? What organizations or academies are you associated with? How many complications have arisen during your dental procedures? How to you deal with a complication if it arises? Can I see before and after photos of your actual patients? What are the alternatives or other options? Will this procedure affect my bite or my temporomandibular joint? Evaluate your cosmetic dentist’s answers to determine how focused he or she is on your teeth and on you as a patient. Assess the waiting room for cleanliness and ask to see what cosmetic dentistry technology the office uses. Look for a dentist who is open and honest about their practice and background, is willing to answer your questions, and listens carefully to your goals and concerns. If any aspect of the practice makes you feel anxious or uncomfortable, chances are that you will not keep up with your regular visits or follow-up appointments. This could have an adverse effect on your oral health, so it is much better to ask lots of questions to ensure you are comfortable. Read our blog posts about cosmetic dentistry! Dr. Gordon Chee looks forward to meeting you and finding out whether or not your needs align well with our cosmetic dentistry services. Call 587-315-5080 to arrange a no-pressure, one-on-one consultation with Dr. Chee at our office in Calgary. At Aesthetic Dental Studio, we welcome patients from Cochrane, Airdrie, and nearby areas of Alberta.